David Unsworth saluted his Everton Under-23 team’s “unbelievable desire to win” after Nathan Broadhead struck a late winner at Swansea City to tighten the young Blues’ grip at the top of the Premier League 2 table. The Welshman struck seven minutes from time after an excellent run and cutback from substitute Manasse Mampala to settle a keenly-contested clash at the Liberty Stadium. 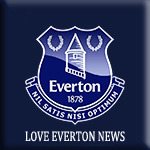 The victory, coupled with defeats to title rivals Leicester City and Derby County, means the Toffees are now four points clear at the league summit. “It wasn’t our finest performance but in terms of keeping going and sheer desire to go and win a football game – it was unbelievable,” he said. “It was great to see from a group of young players – they were desperate to win the game because they knew how important this game was tonight. The hosts started brightly and Toffees stopper Joao Virginia was forced into action just a minute into proceedings. Swansea forward Liam Cullen was slipped in on goal, but the imposing Portuguese goalkeeper stood tall to make a fine save from the striker. After that early scare, the Toffees steadily began to stamp their authority on the game. Fraser Hornby – captain for the night in the absence of Morgan Feeney – saw his shot deflected inches over after he was teed up by Anthony Gordon on eight minutes. Everton continued to look the more threatening but clear opportunities were at a premium for the remainder of the half. Hornby worked some space for a shooting opportunity on the half-hour mark but did not quite catch his effort flush and it skewed wide of the post. Everton started the second period well and Gordon flashed a shot just over the bar five minutes after the break. Swansea got into a few threatening positions themselves but could not find the final pass. Everton began to exert consistent pressure and the introduction of the livewire Mampala on 76 minutes was to prove pivotal. The forward wasted no time in showcasing his electric pace, bursting down the wing before shooting just wide of the post. And on 83 minutes, Mampala was instrumental in the young Blues’ winner. The 18-year-old hurtled down the left flank before displaying impressive composure to send a ball into the area, where Broadhead was waiting to apply the finishing touch from 10 yards. Boss Unsworth was delighted with how Mampala seized his chance to impress. “He’s been really patient, and he’s had to bide his time and wait for his opportunity,” he said. “I said to him just before he went on, ‘This is your opportunity now, son. Go and do what you can do’. “And he did that, he showed us his great pace and that’s how he set the goal up. “The lads were absolutely buzzing for him at the end of the game, which is always lovely to see. He’s a great lad.